I bought a new fridge. It’s older than me. It’s also much smaller than me! 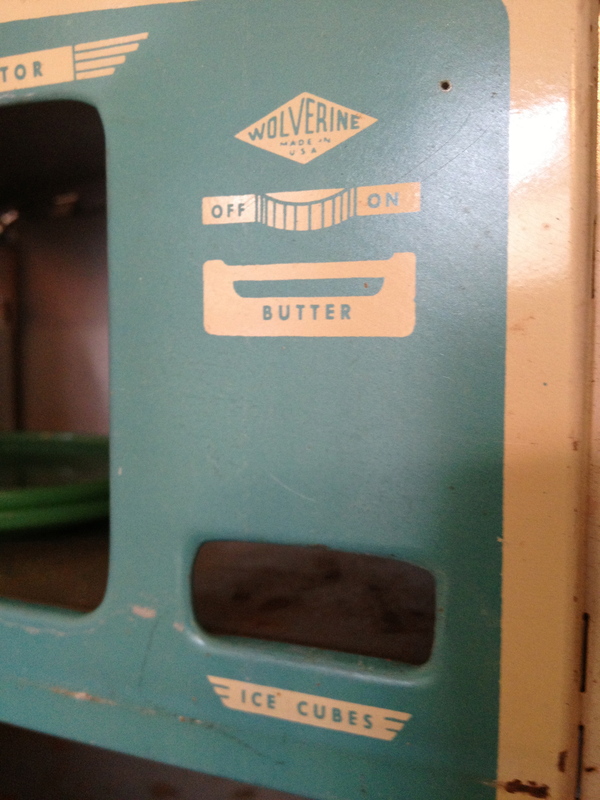 It’s a Wolverine, made in the USA in the ’50s. 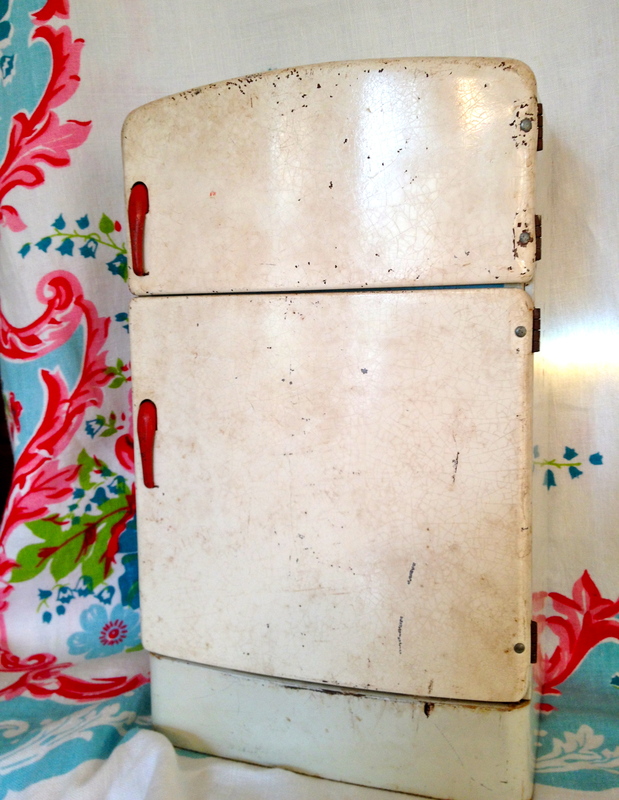 Check out the sleek white enamel outside, with cute red door handles that really work. That’s one of my all-time favorite vintage linen tablecloths in the background: a big floral with two colors of turquoise and two colors of red! 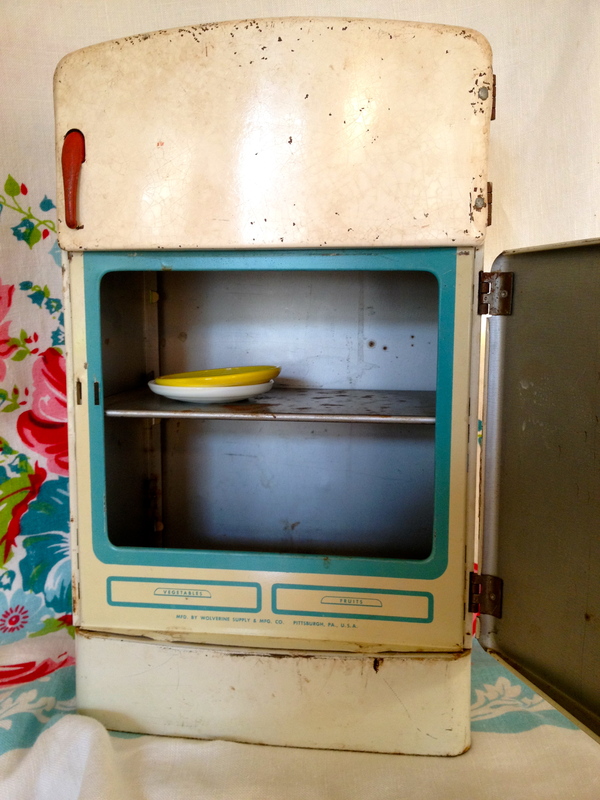 One of our grandmothers had a Frigidaire that looked an awful lot like this! This toy Wolverine is not quite 14″ tall though. Yes, there’s a little bit of surface rust, plus dings and dents. That’s what happens when you’re 65 years old. 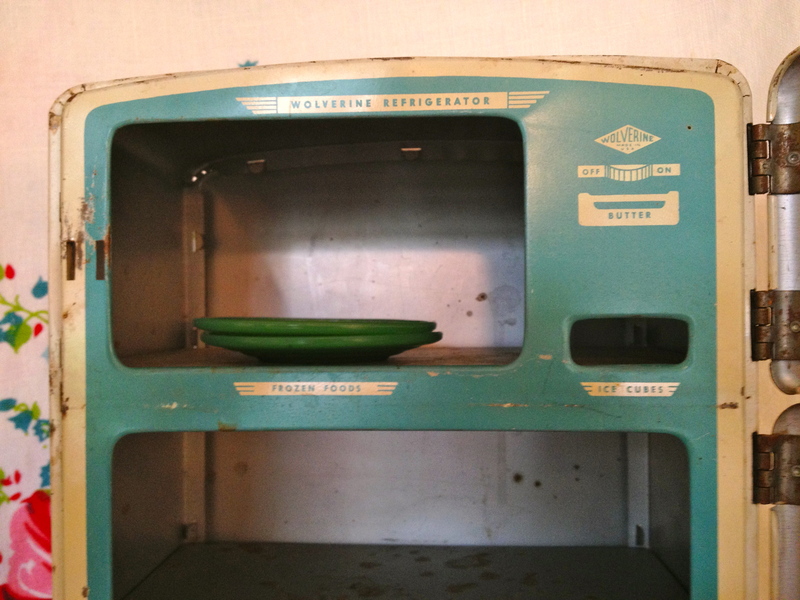 Inside, it’s white and turquoise. I wish the fruit and veggie drawers really opened! Hey, it was made in Pittsburgh! Those are Akro-Agate glass toy dishes on the shelf. In the top freezer section there’s room for a butter drawer plus a slot for the ice-cube tray that I think this fridge originally had. Anybody got a teeny tiny ice cube tray for teeny tiny ice cubes? 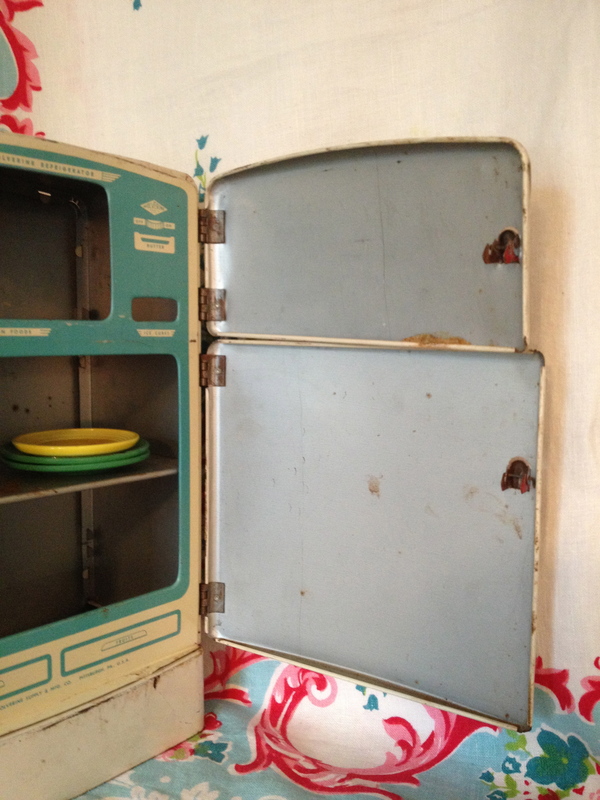 And the two doors originally had cardboard liners printed with all sorts of colorful jars and packages of food. The liners are long gone, too. Somebody ate all the pickles and strawberry jam! It’s going to the Vintage Bazaar next weekend! Darling. Love the little ice cube slot. So stinkin cute! And I want the tablecloth! !